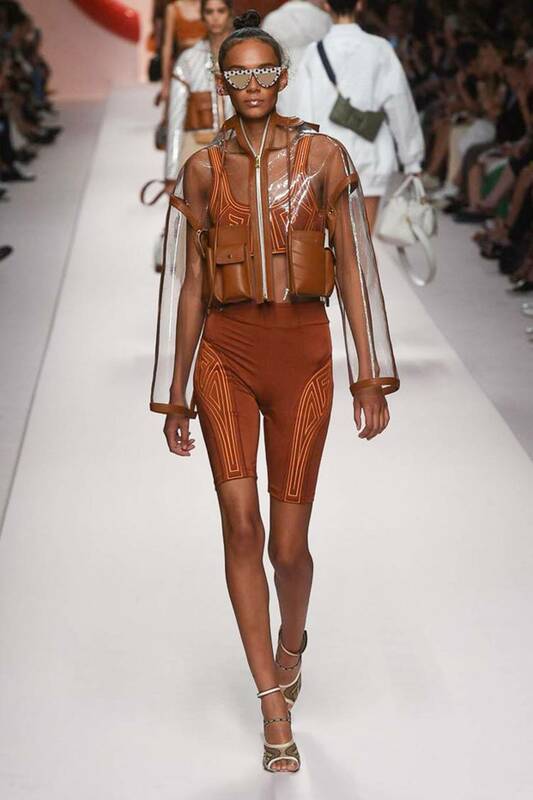 That time of year again! 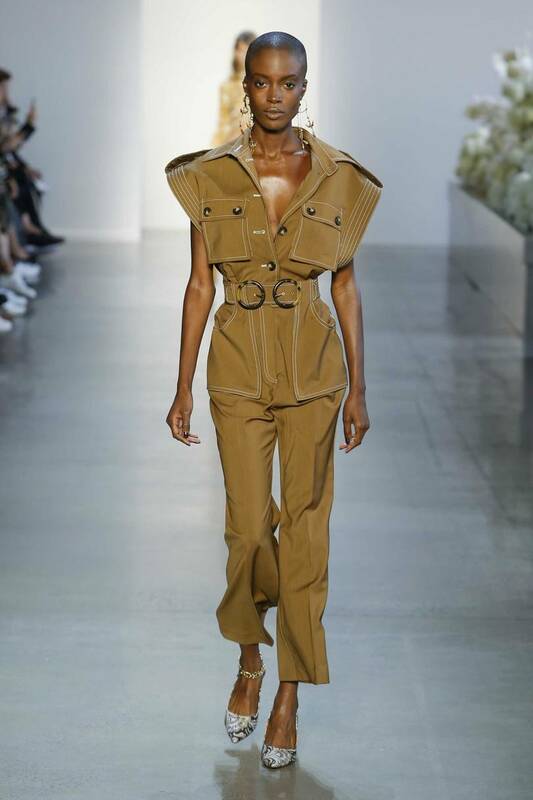 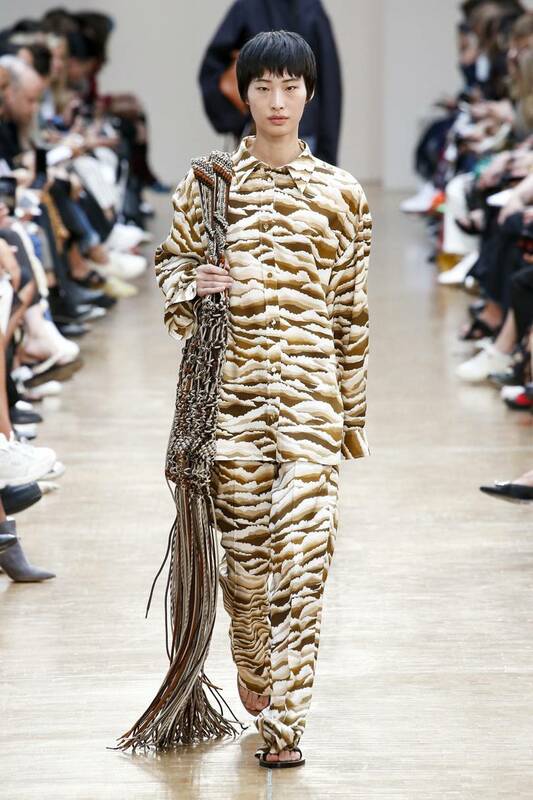 I am always so inspired at the start of a new season, and I’m constantly amazed at the creativity, versatility and newness that high-end designers suprise us with. 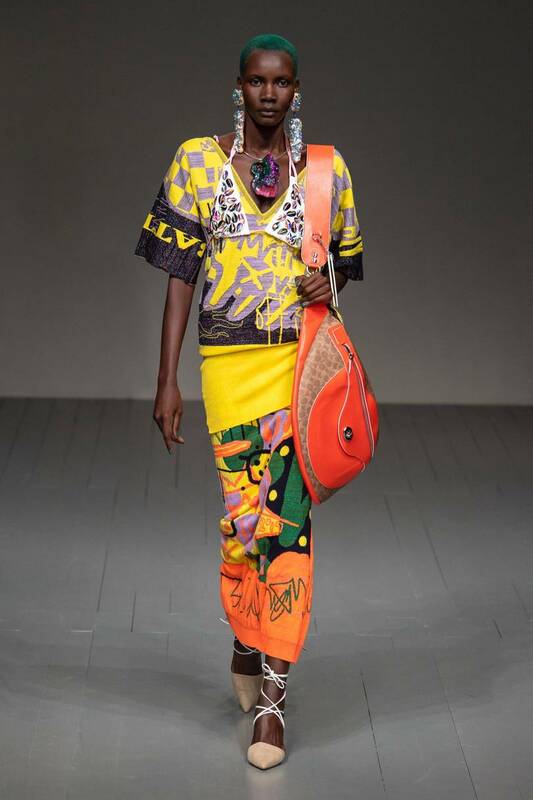 Below are just some of my favourite ladieswear, jewellery & accessory runway moments from various designers. 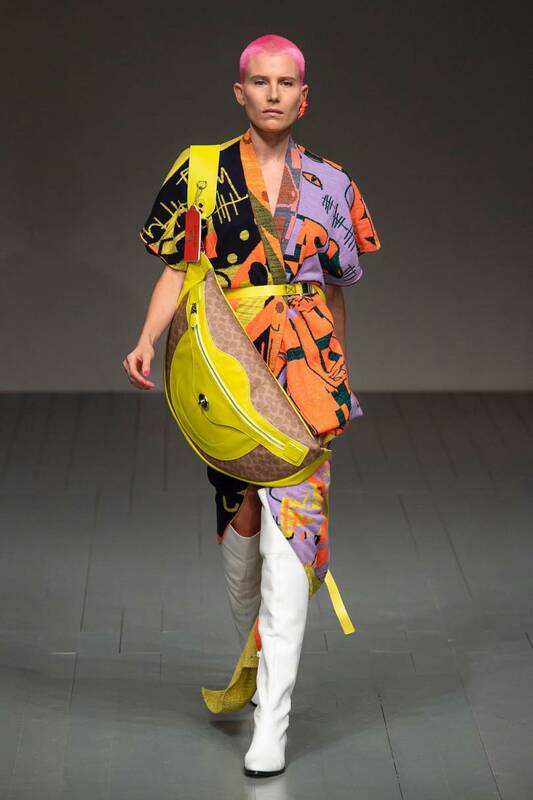 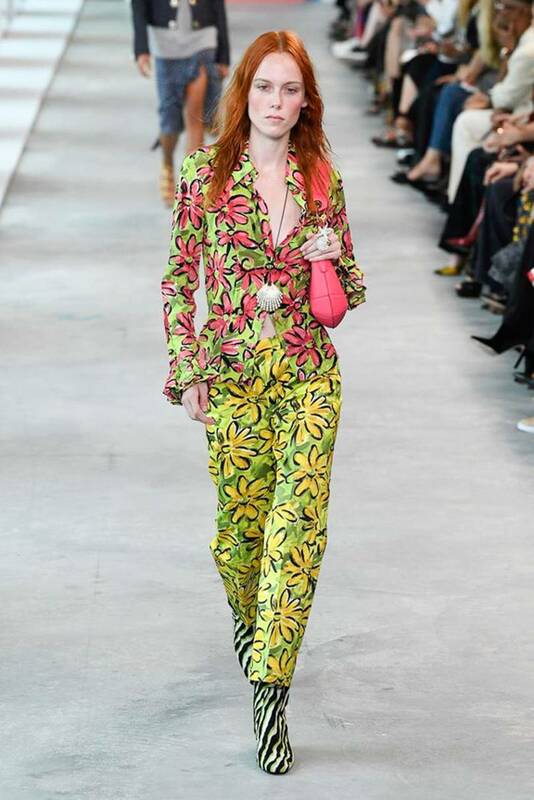 I love the bold use of colour, print & graphics for the upcoming season, with accessories utilised to offset this colour and pattern clash, rather than to tone down looks. 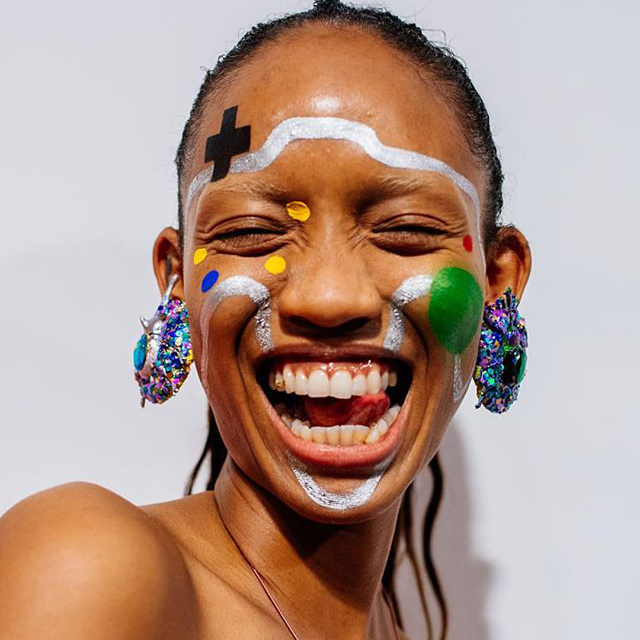 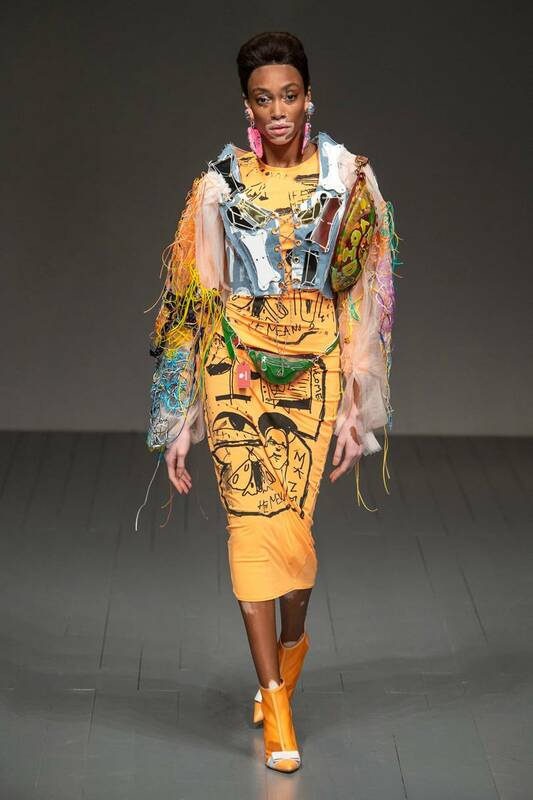 Creative, hand-made jewellery pieces, sequin feature earrings in neon hues and oversized crossbody bags are the highight of this runway show. 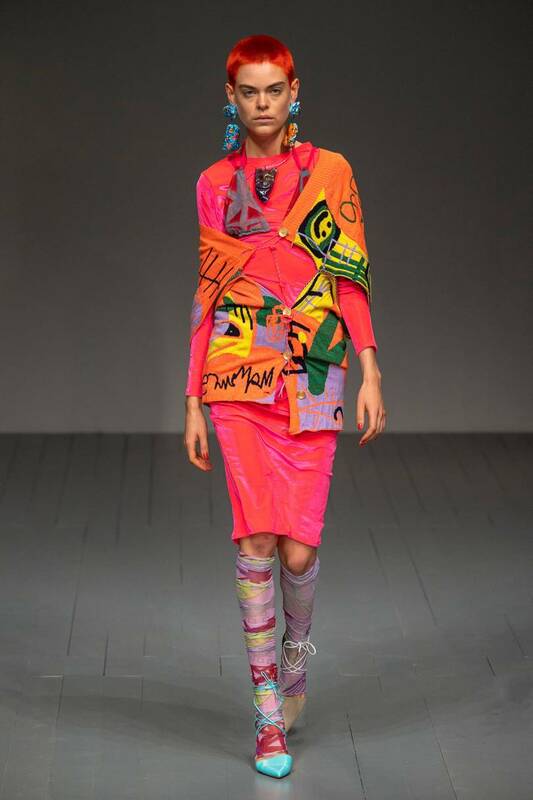 Matty Bovan in his own words described his show with the intent to “overwhelm people with craft, bombard them with texture”. 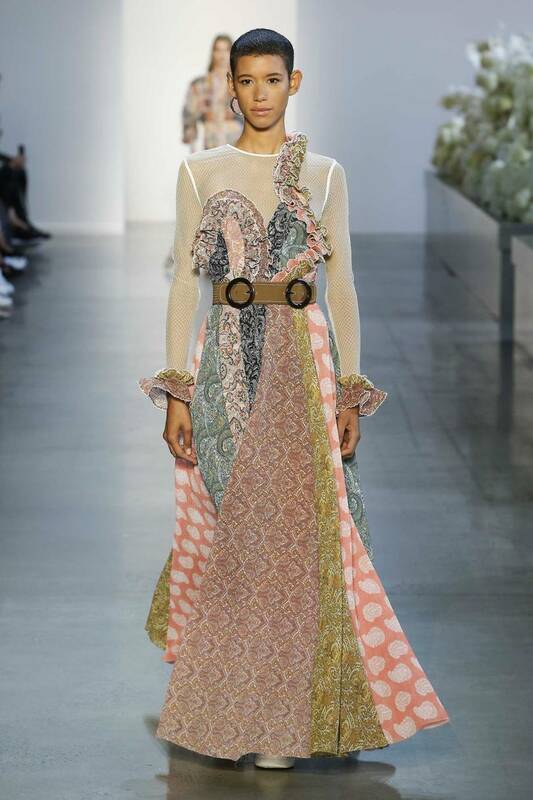 Woven crochet dresses, fringing, knotted nautical elements & beaded details set the tone for updated Bohemian dressing, contrasted by timeless suiting and tailored pieces. 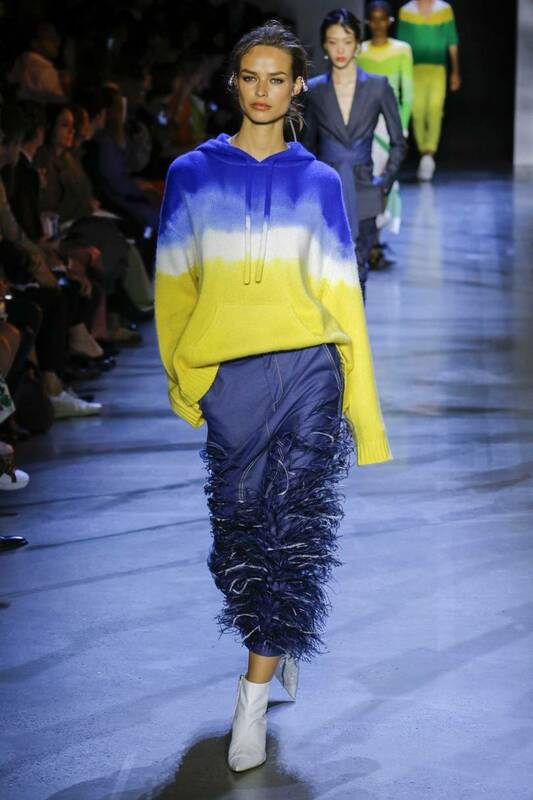 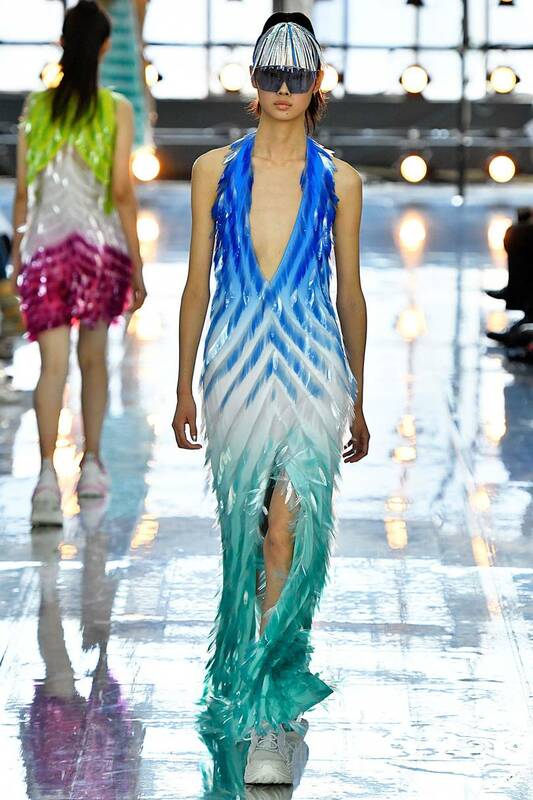 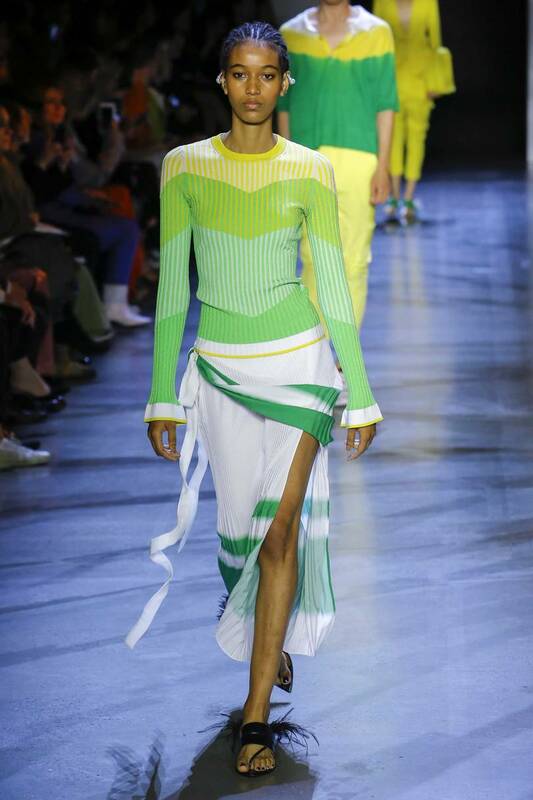 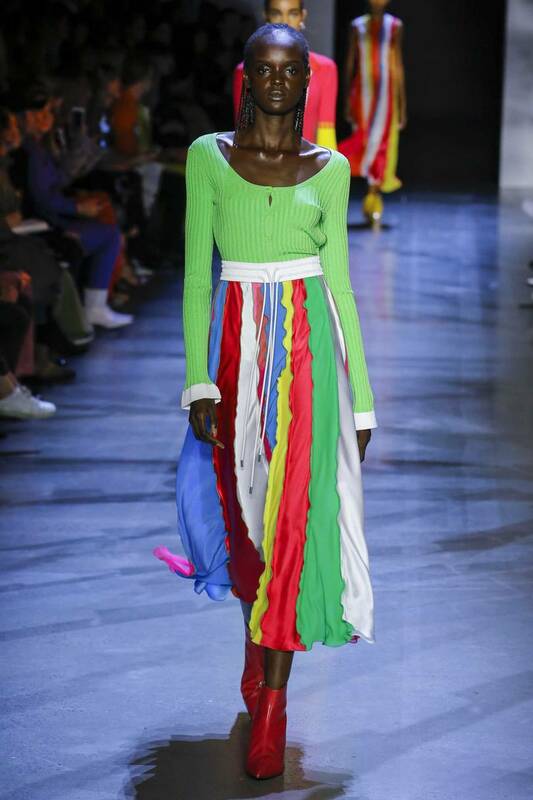 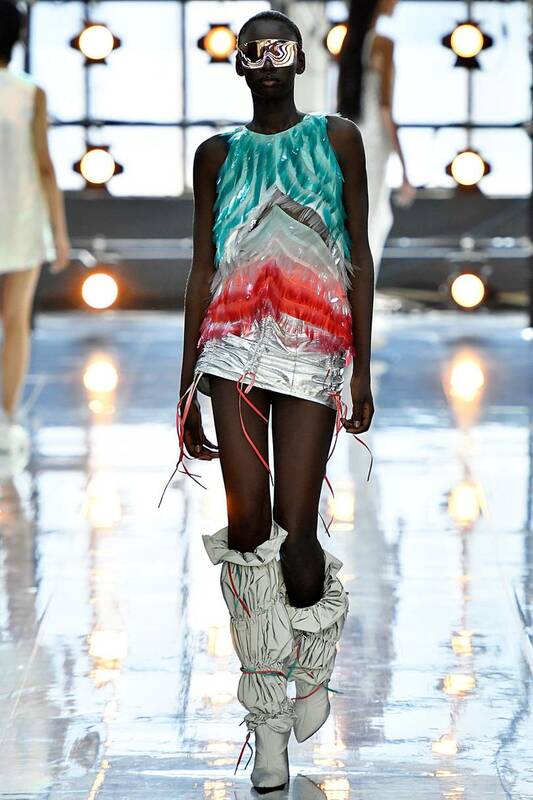 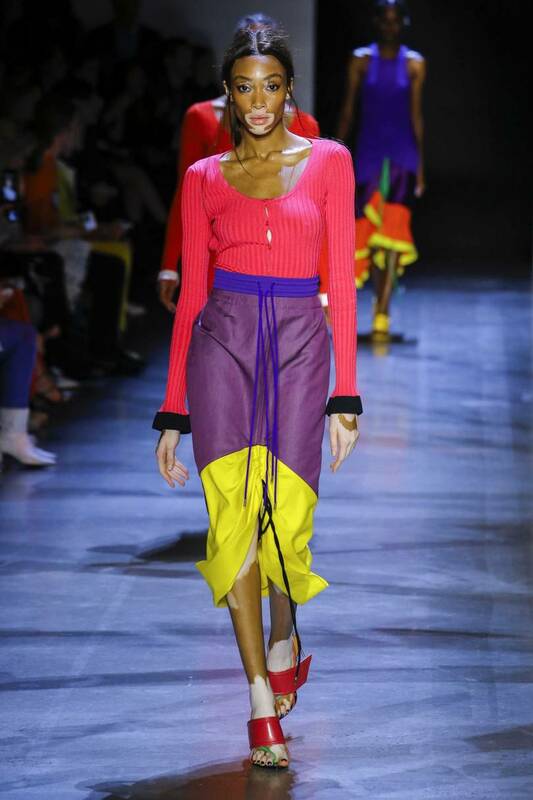 Ombre knits and bold sports colour blocking are the backbone of this athluxury runway show, with an emphasis on performance practicality for ladieswear. 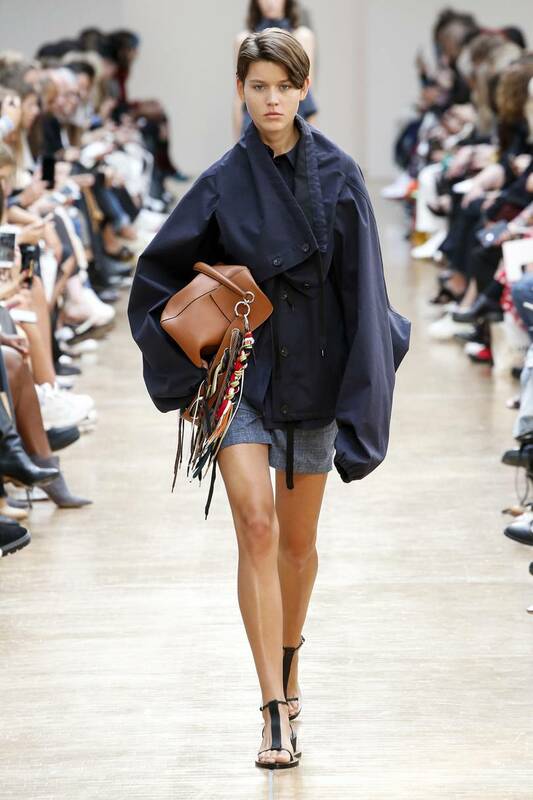 Boxy silhouettes inspired by workwear styling, contrasted with soft, feminine patterns and fabrications were key for ladieswear, forming a backdrop for bold yet simple accessories. 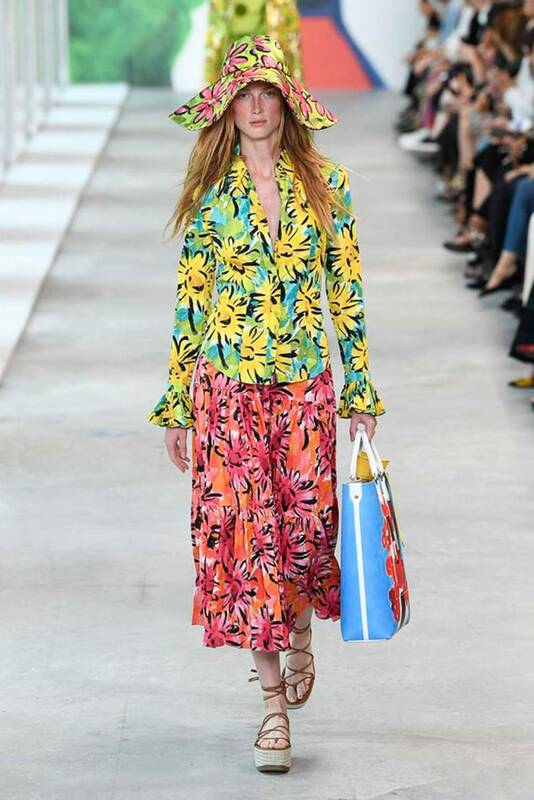 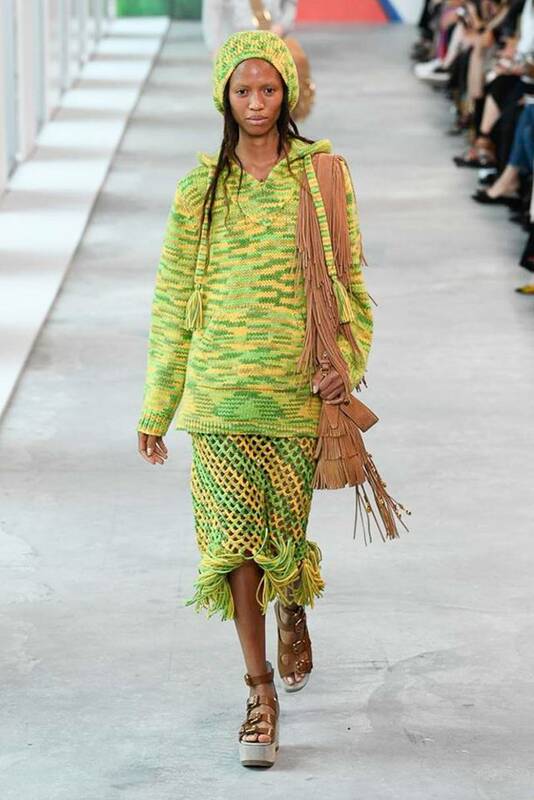 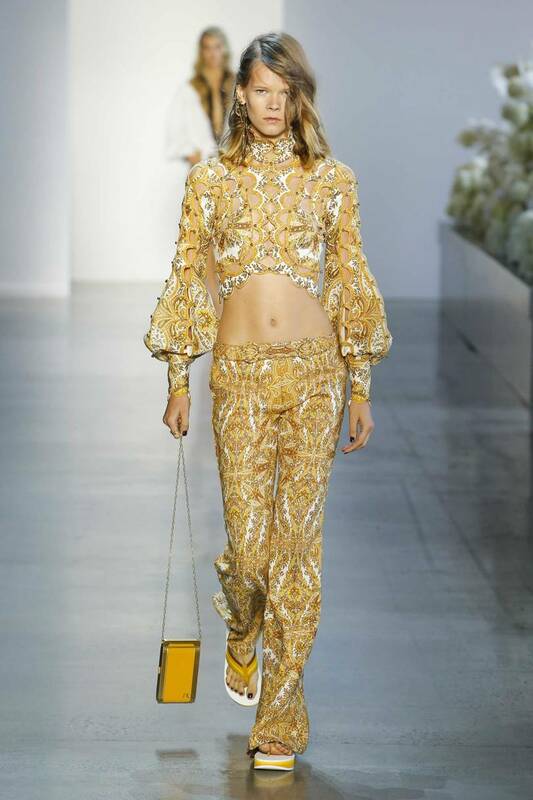 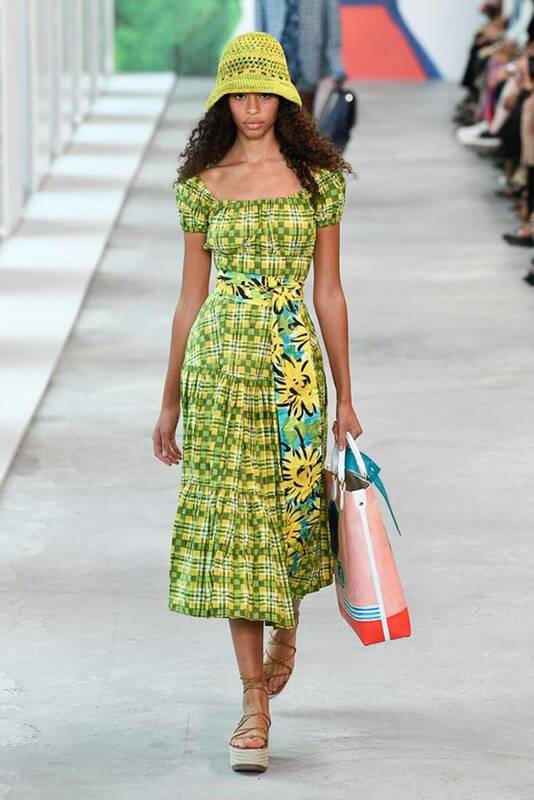 Michael Kors showcased brightly coloured pieces in pattern clash and a more-is-more aesthetic, with beachy wanderlust undertones and novelty touches such as shell motif accessories, neon crochet bucket hats, floral belt sash’s, and table cloth dresses. 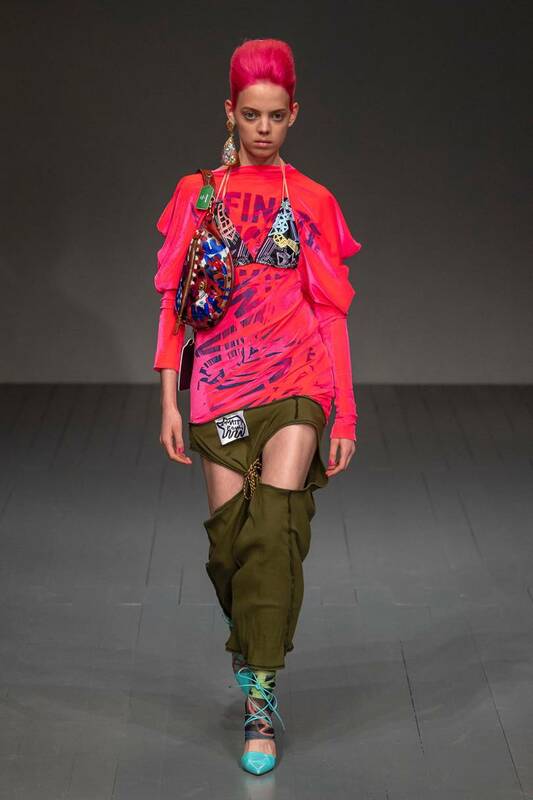 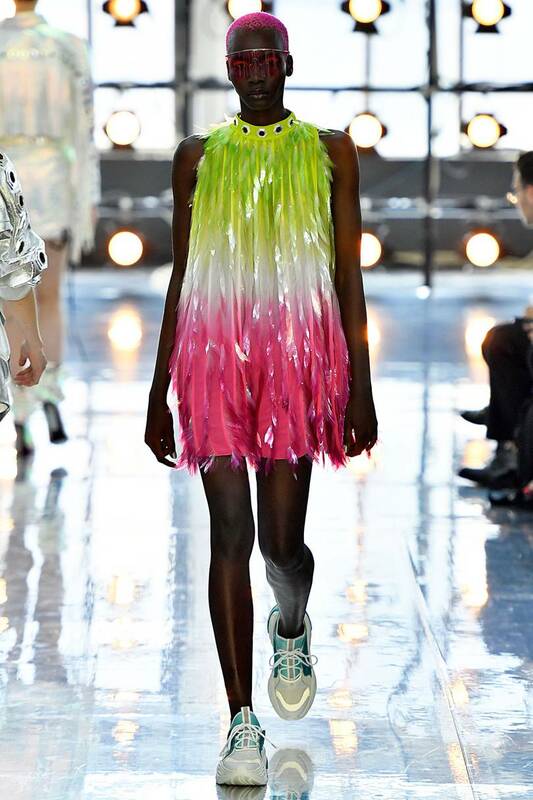 The Byblos show was the epitome of sportsluxe glam, with brightly coloured fringed dresses, light-reflective rouched thigh-highs and decorative denim embellishment. 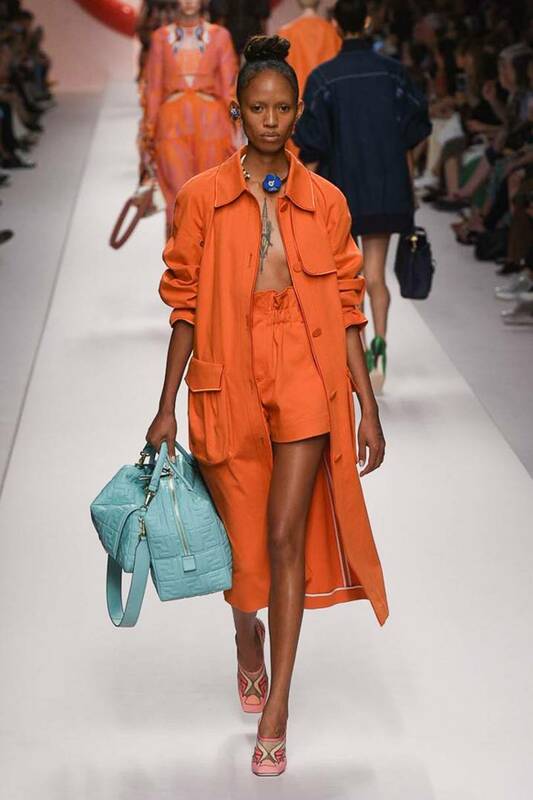 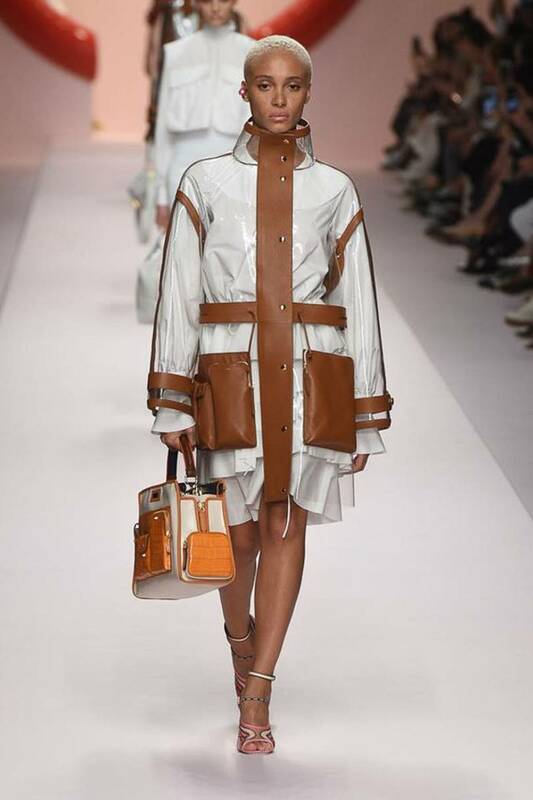 The Fendi show was a beautiful assortment of desert-infused hues with patent fabrications contrasted with transparent plastics. 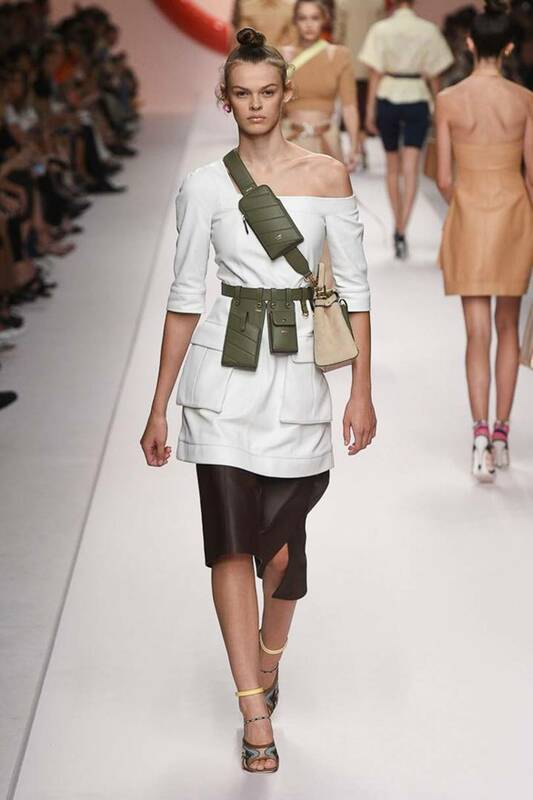 Utilitarian elements such as sporty clip-closure belted pants and multi-functional cross-body bag belts were combined with softer, feminine details and updated A-line skirts and feminine blazers.